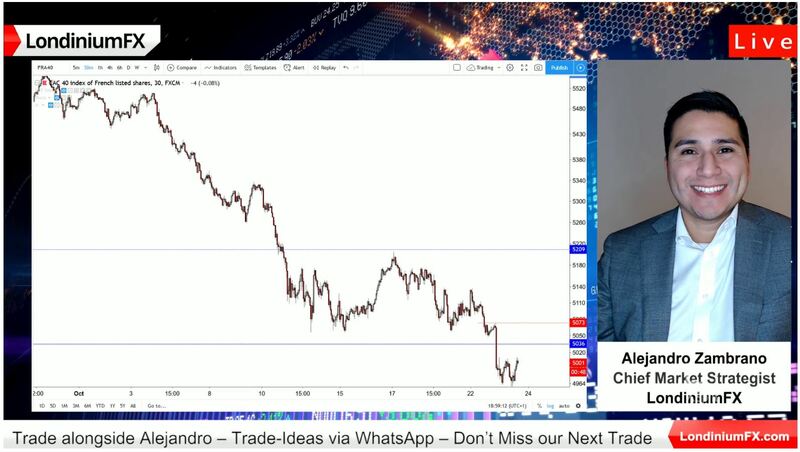 Join Alejandro Zambrano, Monday through Friday, at 8 AM London time to find out what he is trading, and as he provides his technical and macroeconomic outlook for all the major Forex pairs, stock market indices, and commodities. In the morning webinar and afternoon update video, we analyze the markets for you and share the price levels where we predict traders will be entering the markets, place their stop-loss orders and book profits. Also, in these webinars, our Chief Market Strategist, Alejandro Zambrano, shares what he is trading, and your membership also includes access to our exclusive WhatsApp channel for timely updates. The charts from the webinars with indicative entry, stop loss and profit target levels. Gain access today and transform your trading. Try our service and if you don’t like it, cancel the subscription at any time. The minimum billing cycle is one month. The figures below show the time-weighted percentage return on Alejandro Zambrano’s personal trading account, and are the result of selected trade ideas by LondiniumFX. Between 2014 and 2018 the total S&P 500 return with dividends reinvested was 50.3%, while Alejandro’s account rose by 288% over the same period. Risk Disclosure: Past performance is not an indicator of future performance, and does not suggest that you will experience the same results. Financial market trading losses may exceed deposits. The strong 2017 return is due to the introduction of digital currencies trading. Please read our complete risk disclaimer. Sign up for our premium research today and if you don’t like it, cancel the subscription at any time. The minimum billing cycle is one month.